From the moment Stéphanie and Francis set foot in our KA Mariage office in Quebec, they captivated us with their extraordinary, yet simple personalities. 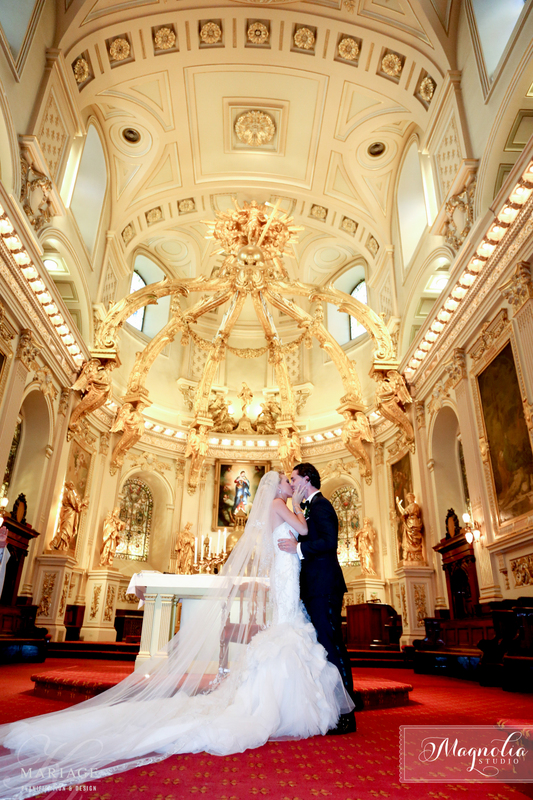 Just by looking at this Quebec-based couple, no one could ever doubt their profound love for each other. From the very first moment he laid eyes on Stephanie, Francis knew he had found a golden gem and the possible love of his life. For him, she undoubtedly stood out among all the other freshman years at the University of Laval. At first, Stephanie tried to keep distance between them, but after some time she gave in to Francis’ magnificent blue eyes. Ever since, they have been inseparable. Finally, towards the end of Lawschool, Francis had the courage to ask Stephanie to be his wife during a romantic picnic at île d’Orléans and presented her with a beautiful ring from Tiffany & Co. Even though they are born globe trotters, the shared love for their hometown made the decision to say I do in old port of Quebec fairly easy. To be able to share the promise of their undying love with close friends and family was one of the most important aspects for both Francis and Stéphanie. 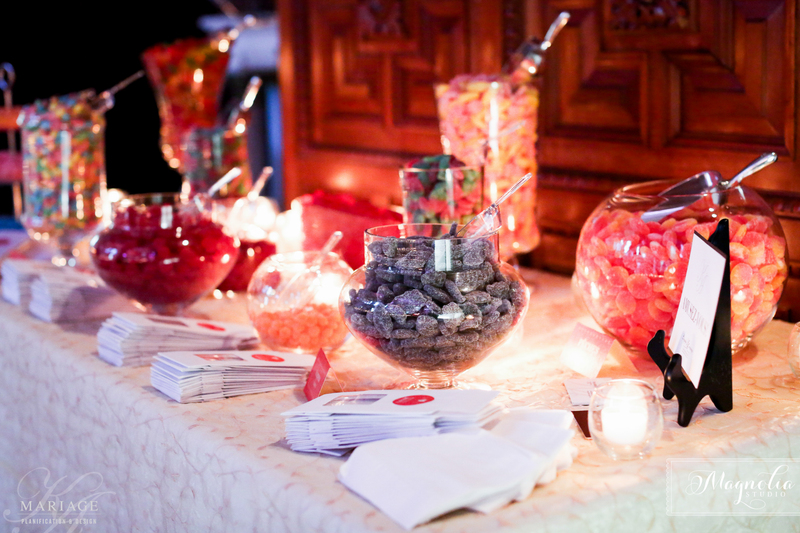 Besides the fact of being in their hometown, a preference for traditions served as a guideline throughout the entire wedding day. 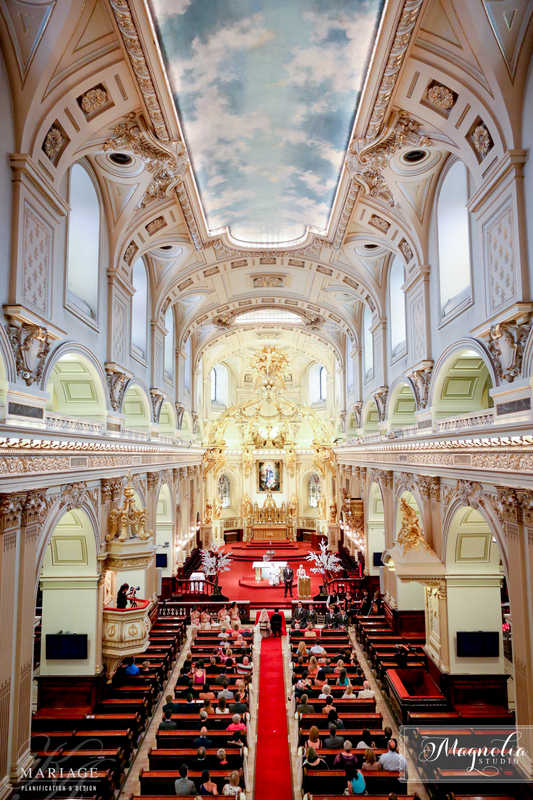 Thus, Stephanie spent the night at her parents’ house and was walked down the aisle by her visibly moved father at the Basilica of Notre Dame in Quebec. As for Stephanie, she shed some tears of joy when she saw the loving look on the face of the one she was about to wed. The wedding dress, the fashionable updo and the stunning beauty of Stephanie, together with the classic look of Francis give the wedding pictures a very Grace Kelly-feel. 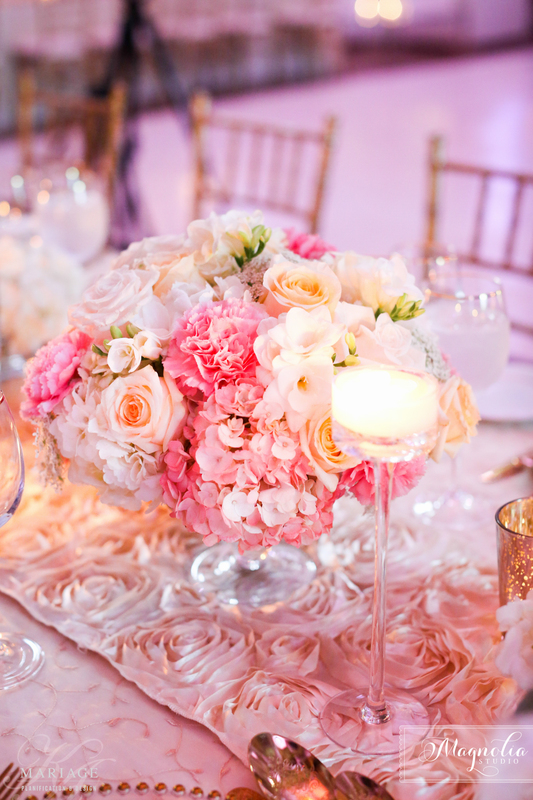 Captured by the very talented Magnolia Studio, located in Montreal, these pictures are extremely magazine worthy and where therefore published in the renowned Grace Ormonde wedding magazine. 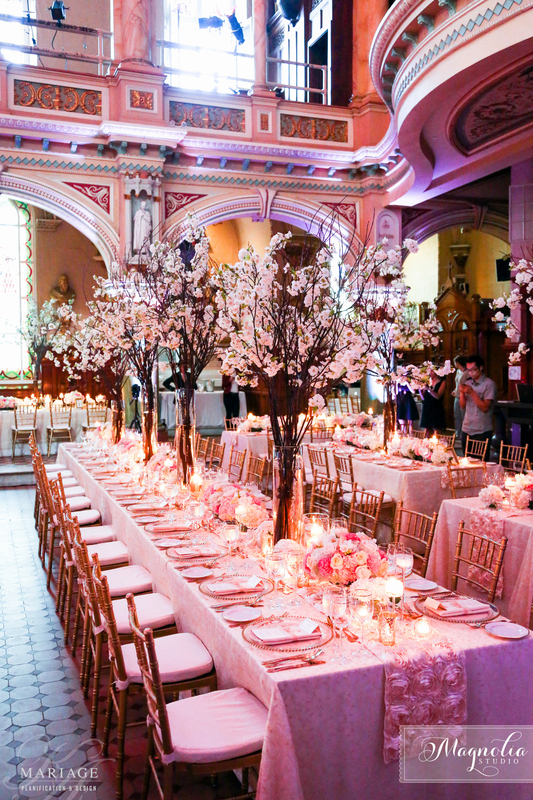 Just like the couple, their wedding was grandiose. 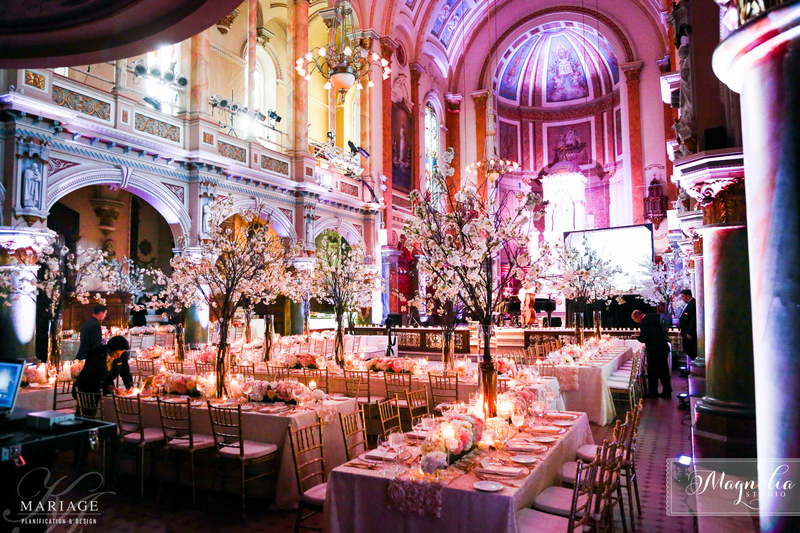 The official ceremony was held in the Basilica-Cathedral of Notre Dame, in Quebec City, followed by an intimate reception at the Chapelle du Musée de l’Amérique francophone. 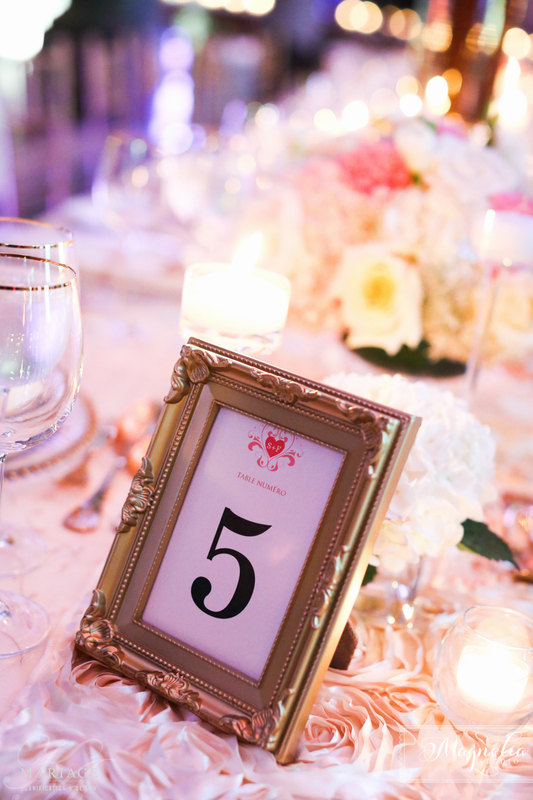 Guests were seated at very on-trend long tables, beautifully decorated by the KA Wedding team and ornated with magnificent flower arrangements from Fleur Concept and the furniture from Location Gervais, both situated in Quebec. 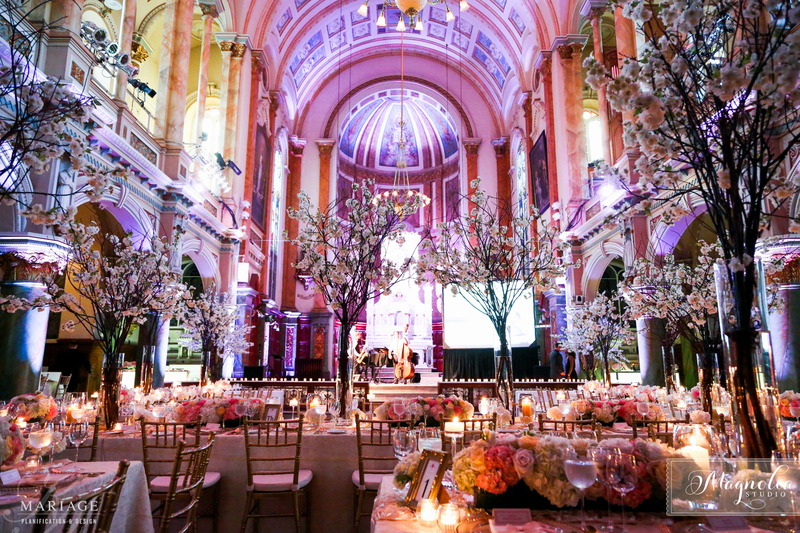 The catering service and the amazing cake were signed the Fairmont Château Frontenac in Quebec and the stationary was provided by À Deux Invitations. We would like to take the opportunity to thank all of our collaborators that made this wonderful day happen for Stéphanie and Francis. Also, we would like to wish the couple every happiness in the world and a wonderful honeymoon to Bora Bora. 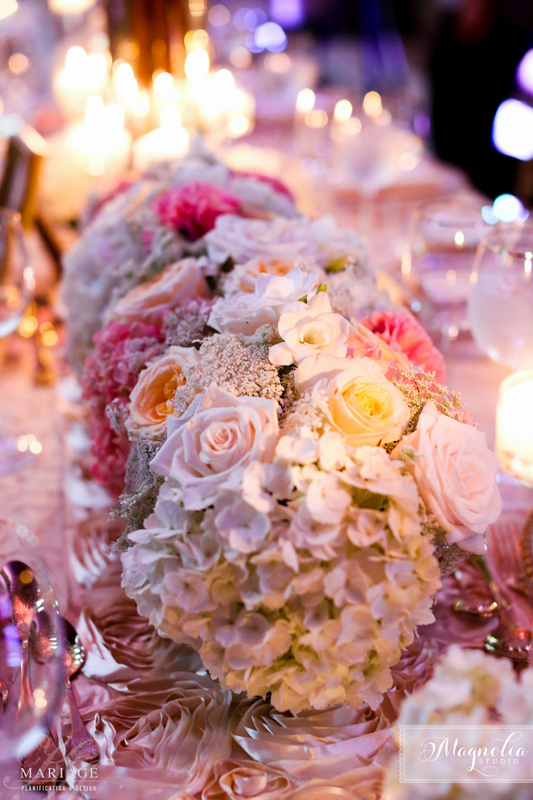 The Grace Ormonde issue that features this wedding is available for complimentary download on iTunes store.